Terrific, rare opportunity in Riverton community. Protected water close to Chesapeake Bay. 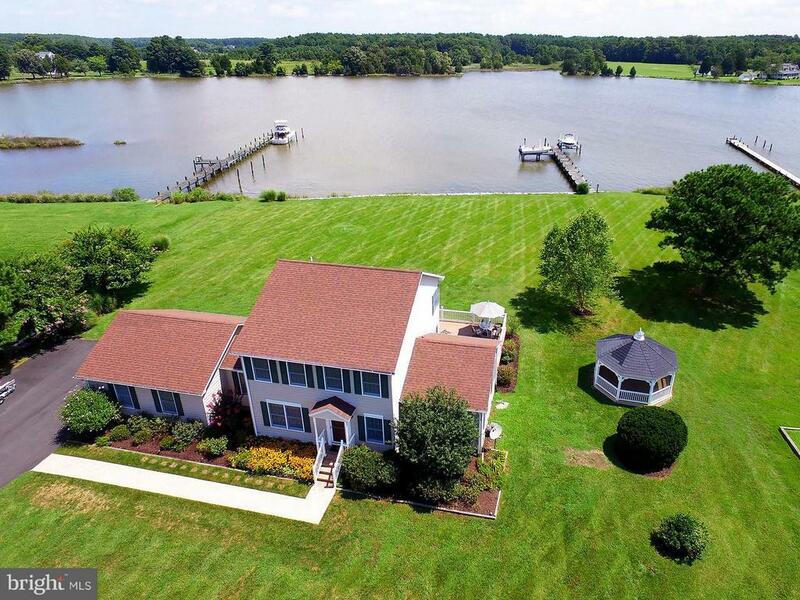 There is nothing to do on this 3 bed, 2.5 bath, 2 car garage, 2 acre property, except to enjoy it and the beauty of the midshore Chesapeake region! Dock (MLW 3) with 2 boat lifts, electric and water. Composite deck, screened gazebo, rip rapped shoreline, professionally landscaped, vaulted ceiling... Nice site elevation. Directions: From Route 50 Cambridge take route 343 (Washington St) west about 12 miles to Cassons Neck Rd, then left onto Riverton Rd., left on Riverton Ct, house on right.